I wanted to take this opportunity to thank you for my rings. 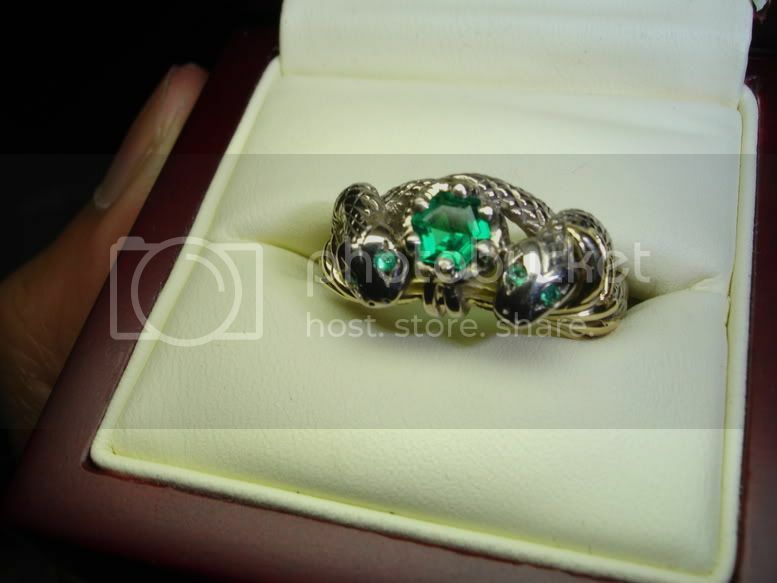 Viggo's ring never looked so good. I much prefer it to the official one. The pictures on your site really do not do this one justice. It really should be added to your online store if legalities with the license permit. 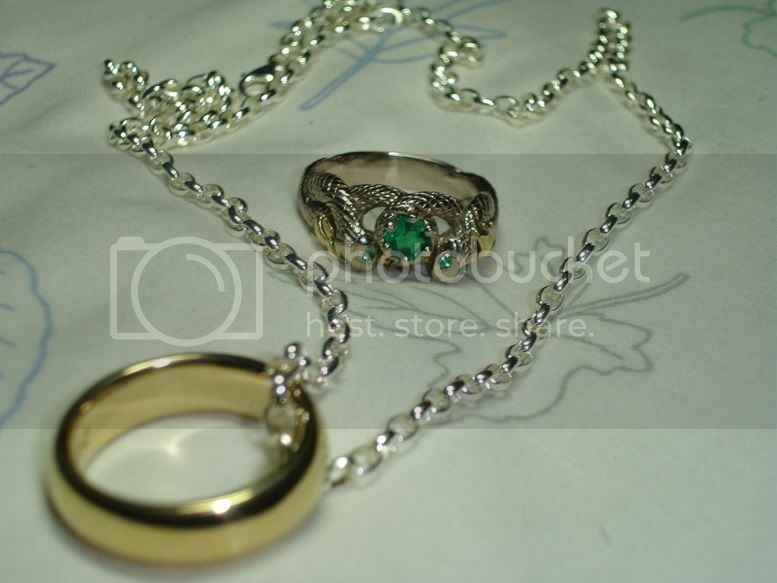 If not, then it may remain the best kept secret item a LOTR fan can attain in terms of jewelry. The tweaks I suggested came out great by the way. I received compliments already on it from a few on it's understated elegance. Nice job! The One ring itself is beautiful. I mean, wow! I never had seen it in person, but I have a few friends that recommended your site to me and told me it was worth it. They were right. It looks great with the chain. It's almost a crime not getting the chain to go along with it. It really is a great piece of jewelry on itself that is often overlooked. Nice doing business with you. First class service all the way.